When Sarah Dunbar first enrolled at Castleton University, the campus seemed a long way from Craftsbury Common, her hometown in Vermont’s Northeast Kingdom. 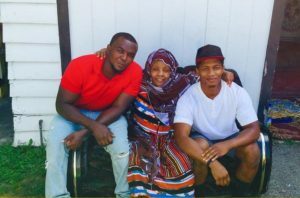 She missed her family and friends, and as she didn’t have a car, she was dependent on other people for rides off campus. And although she’d participated in Upward Bound, a college-readiness program, in high school, the first-generation student occasionally doubted her ability to succeed in college. 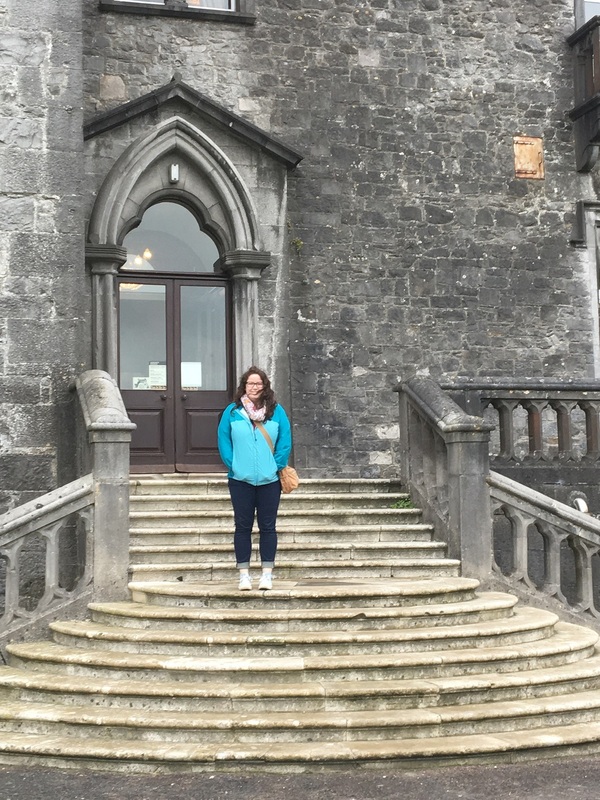 At Castleton, Sarah found a home away from home in the Academic Support Center (ASC). Through the Summer Transition Program, Sarah met Director of Academic Services Kelley Beckwith and other academic counselors. They helped her select classes, manage her time, and navigate financial aid options. She sought tutoring from the ASC’s Math and Writing Clinics. She even found part-time employment as a Learning Center Assistant, scheduling appointments and assisting staff with administrative projects. And even when she didn’t have a particular reason to visit the ASC, it proved an ideal place to study. “It’s the right environment to focus,” she remarks. 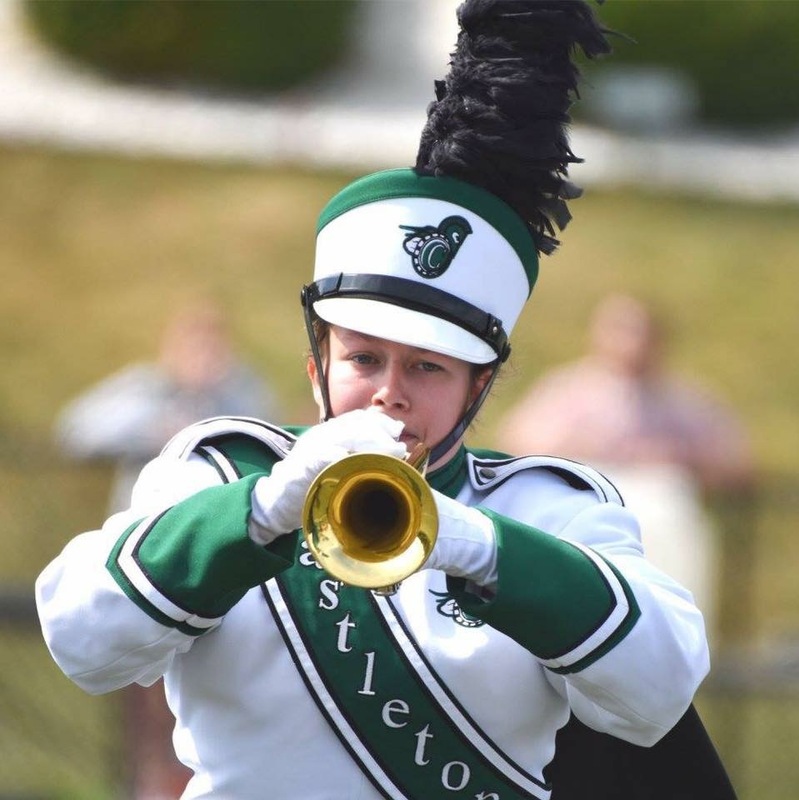 Outside of the ASC, Sarah found success in the classroom, earning all As her first semester at Castleton. Slowly, she started branching out, joining various clubs on campus. Today, it’s hard to remember Sarah ever doubted her ability to thrive in college. The senior multidisciplinary studies major has a 3.83 GPA. During her time at Castleton, she’s visited St. John and Iceland through travel-study courses. In addition to serving as the Vice President of Academics in the Student Government Association, she is involved with the Student Education Association and the Rotaract Club. She has also served as a Community Advisor, mentoring students in the residence halls. Despite her many commitments, Sarah has found time to give back to TRIO and the ASC. 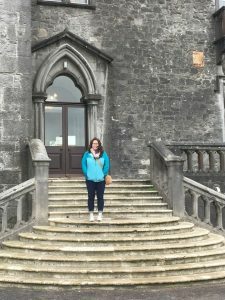 In addition to working as a Learning Center Assistant, she has served as a Writing Clinic tutor and a TRIO Program Assistant. In these roles, she has mentored and sometimes counseled other first-generation students. “I like knowing I’m helping a student who is in the same position I was when I first started,” she says. When Brooke Greenway was in high school, college was the last thing on her mind. She explored the offerings at her district’s technical center, jumping from health care to criminal justice to global business management before graduating from the school’s diesel mechanics program. Brooke applied to and was accepted by Castleton University. But her struggles had just begun. After four years in trade school, the traditional classroom setting felt strange. “I had to get used to sitting at desks in rows and raising my hand in class,” she says. Through Castleton’s Summer Transition Program, Brooke made friends with other new students. Many, like her, were the first in their families to attend college. She also met Becky Eno and other counselors at the Academic Support Center (ASC). Through regular meetings with them, she learned to manage her time. She even found employment as a Learning Center Assistant, assisting staff and students at the ASC’s front desk. Today, it’s hard to believe Brooke ever thought college wasn’t for her. The junior social work and sociology major has a 3.15 G.P.A. In addition to working at the ASC, she serves on the President’s Student Advisory Board and the Student Government Association’s Court. She credits the ASC with much of her success. After graduation, Brooke hopes to be a medical social worker or work with people with disabilities. “I think the majority of people with disabilities don’t know what their rights are, so I’d like to advocate for them,” she says. Eventually, she plans to earn a master’s in social work. There was also the financial burden. Liam’s parents couldn’t pay for his education so he worked at Rutland Mental Health, doing outreach work with adults with chronic mental health problems. He became a substitute teacher at Head Start. In the summer, he toiled long hours as a farmhand. In between, he worked in production at music festivals. Today, the young man who was told he wouldn’t succeed in college has a 3.26 GPA despite a plethora of outside commitments. Until Liam began student teaching this semester, he continued his work with Rutland Mental Health and Head Start in addition to working part-time at the Calvin Coolidge Library’s circulation desk. He has also been an active member of the university’s Greenhouse and Gardens Club. In January, he discussed his experiences as a transfer student on a panel for new transfer students. A multidisciplinary studies major, Liam hopes to pursue a career in elementary education after graduating in December. He also plans to attend graduate school. This semester, he is student teaching. He eagerly creates lesson plans for the 4-6th graders in his classroom, and despite his busy schedule, finds time to mentor fellow student teachers, sharing ideas and strategies with them. Monica McEnerney, chair of Castleton’s education department, is supervising Liam in his student teaching role. She is impressed by his interactions with students and peers. McEnerney believes Liam’s intellectual curiosity will enrich his work as an educator. “Liam has a broad sense of the world, has a poetic disposition, and cares deeply about his community,” she says. Ann Slonaker, Associate Professor of Education, agrees wholeheartedly. “Liam will be a good role model for all his students,” she adds. When Sabrina Lacasse first arrived at Castleton, she didn’t know what to expect. She knew she wanted to be a nurse, but the first-generation college student was nervous about forms, deadlines, and other facts of college life. In addition, Sabrina was apprehensive about leaving home. She’d grown up on a small farm in tiny Elmore, Vermont, and she wasn’t sure how she’d handle being away from family. Fortunately, another family awaited Sabrina at Castleton. 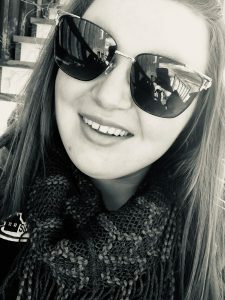 Through Summer Transition Program (STP), a weeklong pre-college experience for new TRIO students, she made valuable connections. “STP helped me tremendously,” Sabrina recalls. “I learned where everything was before classes started, and I made friends.” STP also introduced Sabrina to the Academic Support Center’s full-time staff. But settling in was just the beginning of Sabrina’s journey. Despite the warm STP welcome, Sabrina was often homesick. And although she worked hard, the nursing program proved daunting. Finally, like most college students, Sabrina wanted to earn good grades, have a social life, and get sufficient sleep. Balance seemed elusive. Today, it’s hard to reconcile the relaxed, self-assured young woman with the shy girl who entered STP. Sabrina maintains a 3.30 GPA while juggling part-time jobs at the Campus Center and Academic Support Center. She plays club basketball and is an active member of the Rotaract Club. Despite Sabrina’s success, she hasn’t forgotten her rocky start. As an STP and TRIO Texting Mentor, she nurtures and encourages new students, many of them first-generation students who are anxious about entering a new world. “She inspires new students with her positive attitude and by sharing her personal experiences,” says Kelley Beckwith, Director of Academic Services. At Castleton, Sabrina’s compassion has taken her far, even out of the country. 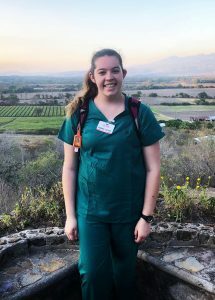 Last year, Sabrina and her fellow nursing students traveled to Honduras to provide care for people in underserved communities. It was Sabrina’s first trip outside the U.S. – and her first time flying. 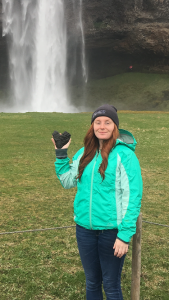 “I was way out of my comfort zone, but it was the best experience,” she says. “It reminded me of why I want to be a nurse.” This spring, Sabrina will travel to Florida to volunteer with the Rotaract Club. Sabrina’s adventures have whetted her appetite for travel. After graduation, she plans to pursue a career as a traveling nurse. Eventually, she hopes to settle in her beloved Vermont, where she would like to work as an emergency room or birthing center nurse. Her Castleton family is confident she’ll succeed. “Her manner as a mentor indicates she’ll make a wonderful nurse,” says Becky Eno, Academic Counselor. Growing up on the island of Guam, Weslee Thompson did not imagine attending college in Vermont. A talented athlete, he seemed destined for soccer stardom. When he was seventeen, an injury derailed his dreams. He still recalls the hurt he felt when his physical therapist told him he would never again play competitive soccer. But one dream’s demise led to another. “Having a negative experience with a physical therapist made me want to pursue physical therapy,” Weslee says. “I knew what it was like to be in a vulnerable position. I wanted to come alongside people and work with them.” At the time, Weslee hoped to rehabilitate injured athletes. 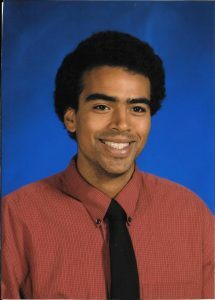 Weslee’s new goals led him to Castleton University, where he pursued a double major in health science and psychology. Although the health science degree would give him the prerequisites for graduate school, he knew understanding human behavior would allow him to better support patients. Like all first-year students, Weslee had to adapt to a new academic environment. Unlike most of his classmates, he had to pay his own way through college. He accepted a full-time position at McDonalds and quickly became a shift manager. Juggling a full-time job and courses for two majors proved challenging even for a student as dedicated as Weslee. He invested in a planner. “I discovered a passion for color coordinating,” he chuckles. Always a competent writer, he met with Writing Clinic tutors and the Writing Specialist to make his papers even stronger. Weslee’s formula worked. Now in his junior year, he still works full-time while maintaining a 4.00 GPA as a double major. Outside of class, he embraces other intellectual opportunities. 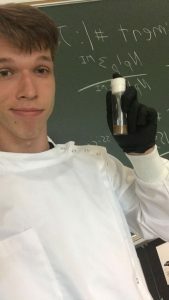 This summer, he worked with psychology professor Greg Engel, conducting genetic research on ethanol tolerance in fruit flies. The desire to help others led Weslee to Castleton. Since then, his journey has taken another turn. This summer, an internship at Rutland’s Back on Track Physical Therapy affirmed his interest in the field. Through his internship, he discovered a passion for helping injured veterans. “I’d like to help those who’ve served get back to their lives,” he says quietly. When Chandra was thirteen, her parents decided to move to the United States. They were taking a chance: they knew very little about the country and could not speak English. However, with robbery, violence, and poverty in the camp, the move seemed worth the risk. At school, more culture shock awaited Chandra and her siblings. There was the pressure to buy clothes and fit in with peers. “In Nepal, we had only one uniform,” says Chandra. School lunches were also an adjustment as Chandra was accustomed to cooking food at home. And although Chandra had lots of questions about her new language, environment, and schoolwork, she did not ask many. “I was hesitant to ask for help,” she says. In her junior year of high school, Chandra was introduced to the University of Vermont’s Upward Bound program, a federally funded program for high school students of modest means whose parents do not have a bachelor’s degree. Through workshops and college tours, Chandra learned that she could realize her dream of attending college and becoming a nurse. She applied and was accepted to Castleton’s nursing program. In August 2015, Chandra came to campus a week before the start of her first semester. With about thirty other new students, she participated in the Summer Transition Program, a week-long program to help TRIO students acclimate to college life (STP). STP helped Chandra find her way around campus – and help her peers. “I was able to help other new students from Nepal find the Academic Support Center and other places on campus,” she says. She now encourages high school friends to apply to Castleton and participate in STP. Today, it’s hard to believe Chandra ever wondered whether she could make it at Castleton. This semester, her mid-term GPA was a 4.00. Recently, she was awarded the Vermont Educational Opportunity Programs scholarship for overcoming significant obstacles to pursue her education. “Chandra has matured, become disciplined, and begun to see the world as a nurse, one who is responsible for the well-being of others,” says her advisor, Assistant Professor of Nursing Margaret Young. After graduation, Chandra plans a career in pediatric or geriatric nursing. But despite Chandra’s accomplishments, some things haven’t changed. She still puts her family first, returning home almost every weekend to help her mother. “I read the mail my mom cannot read and pay the bills,” she says. Since her mother is often tired from working double shifts, Chandra gives her a break by cooking for the family and taking her teenage brother to sporting events. 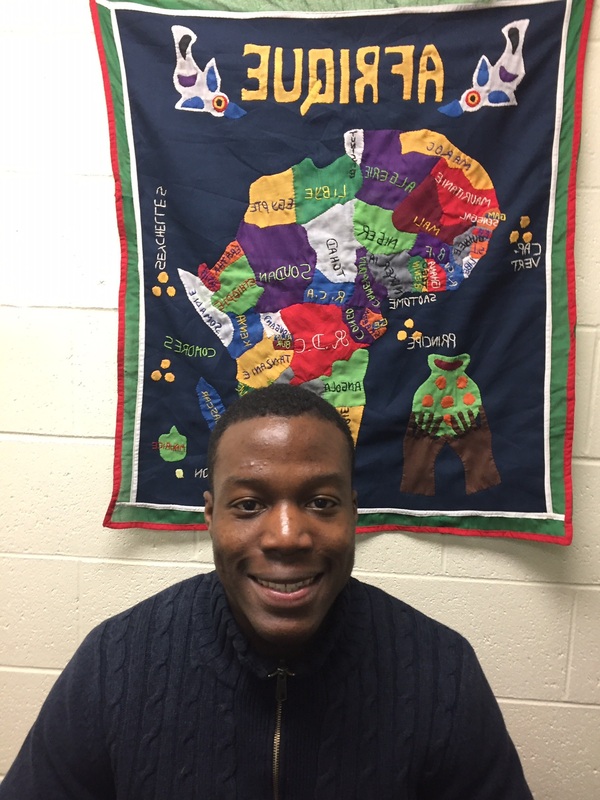 When Adnane Adossama arrived at Castleton, he wasn’t sure he could succeed at college. Still, he worked hard and made the Dean’s List his freshman year. That boosted Adnane’s confidence, but his struggles had just begun. After meeting with Beckwith, Adnane started taking advantage of the Academic Support Center’s resources. He met with various tutors, including a chemistry tutor named Katie Wielgasz. She not only helped Adnane master chemistry; she taught him how to break up assignments and teach himself new material. “It’s something I carry over into other classes,” says Adnane. Today, Adnane is a junior exercise science major with minors in business administration and physical education. A student-athlete, he has maintained a 3.38 GPA while playing football and lacrosse. 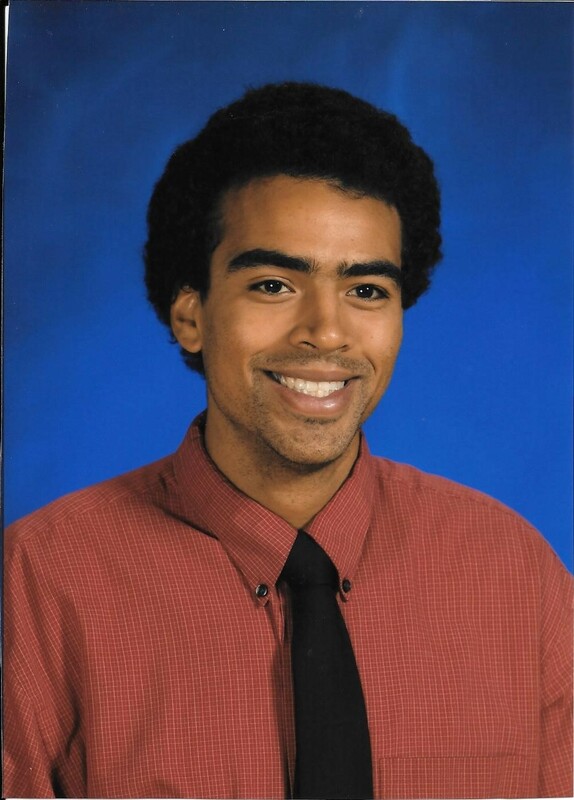 In addition, Adnane works part time in Castleton’s mailroom and, for the last two years, he has mentored a student at Castleton Elementary School. After graduation, Adnane plans to attend graduate school and pursue a career in physical therapy. Because of his lifelong passion for athletics, he wants to work with athletes, either training them for their sport or helping them recover from injuries. At one point, Jasmine Keefer didn’t know if she’d be able to attend college. Her parents didn’t have the resources to help her, and as first-generation college student, she found the financial aid maze bewildering. “If I wanted to go to school, I’d have to pay for it myself,” she says. She knew she’d have to work two jobs to pay for her tuition – and even then, affording college would be a struggle. But when Jasmine arrived at Castleton University in Fall 2014, help was waiting. Through the Summer Transition Program (STP), a week-long program for new students, she grew comfortable on campus and formed firm friendships. She also connected with the Academic Support Center’s (ASC) full-time counselors. Kelley Beckwith, Director of Academic Services, helped Jasmine unravel the intricacies of financial aid. With the help of Kelley and Castleton’s Financial Aid officers, Jasmine found a way to pay for her education. She’d still have to work, but she could remain at Castleton and pursue her goal of becoming a teacher. But Jasmine did more than stay at Castleton – she thrived. Today, Jasmine is a senior multidisciplinary studies major with a concentration in math and a 3.30 GPA. She is also earning a certificate in civic engagement. After graduation, she hopes to obtain a master’s degree in special education and eventually teach math in a K-6 school.